The CHT Group’s social responsibility is not restricted to caring for its employees and thus it does not end at the factory gates. Since the mid-1980s, the CHT Group has been a foundation-supported company with a distinct social component. Furthermore, our company is a member of the GLOBAL COMPACT of the United Nations and is committed to a responsible and honest corporate management. We act sustainably and socially in compliance with the 10 GLOBAL COMPACT principles for dealing with human rights, labour standards, environmental protection and prevention of corruption. The CHT Group's Code of Conduct provides further evidence of our responsible business practices. It sets standards and describes the expectations of all employees, but also business partners, for responsible, legally compliant and honest behaviour in their day-to-day activities. As an employer, CHT presents itself with a social vision going beyond the legal frame. CHT Germany GmbH, the headquarters of the group of companies, has repeatedly been awarded the distinction of being a 'family-friendly company'. 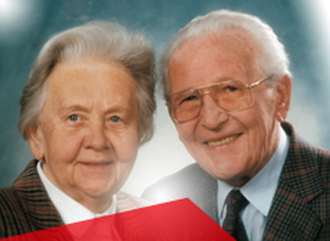 The company founder Reinhold Beitlich, together with his wife Gertrud, had already separated from a part of their assets during their lifetime and donated them to two foundations established in the 1980s. In connection with this measure, Reinhold Beitlich formulated a mandatory founder's will. The group of companies shall pay attention to the preservation of the assets. A part of the profits should benefit people in terms of social and societal responsibility. As an innovative, sustainable and profitable company, the CHT Group creates the economic conditions for this. The foundations are intended to last for generations. The management is committed to the founder's will and ensures the economic independence of the CHT Group together with the board of the Beitlich Family Foundation. The Reinhold Beitlich Foundation is a non-profit organisation. It embodies the founder's social aspirations with its comprehensive financial support in education, training, social affairs, environment, science and research. For further information on the Reinhold Beitlich Foundation please click here. The commitment is based on annual distributions from the CHT Group's earnings to the Reinhold Beitlich Foundation. Since the 1980s, more than 12 million Euros have been invested in charitable projects and a great deal could be achieved. They will determine the path our society will take in the future.